Wedding performance went off without a hitch! If you want the best performance at your event, don't hesitate to hire Robert! He is easy to communicate with, and puts on an amazing and unforgettable show! I look forward to working with him again! Thank you so much for having me and i too look forward to working with you again also! "A Glorious King Of Pop"
I had a lot of fun, my guests really enjoyed it! It was an amazing performance! I once hosted a open mic night at bo diddly's and had this entertainer come and put on a show for us and thatz EXACTLY WHAT HE DID all around the night was a hit got great feedback from the crowd about all the preformers that came and did thier thing...but when this Micheal Jackson impersonator came on it was madness the crowd went crazy people loved it. 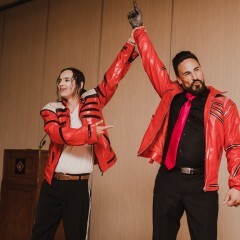 He dances like Micheal perfectly and the outfits he has for each track is an identical match to Micheal Jacksons attire ! If you do get this entertainer people will be impressed with the talent and also happy they came out! God bless you and had a fantastic time coming and performing for you event. Thank you for the beautiful review! I have worked off and on with Robert over the past 3 years. I have seen a variety of performances, and he continues to surprise us with new material every time he works with us. The crowds love him, and our many staff members volunteers, and customers come out of their seats. Robert treats his fans with as much love and adornment as they show him. We will continue to work with Robert, and would recommend him to others that require a tribute artist at their event. Thank you so much for the very kind review God bless you!! 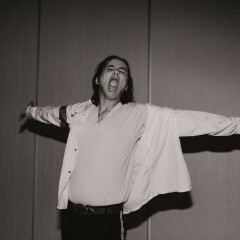 ​Robert L'Hirondelle is currently a lead performer capturing 'A Glorious King Of Pop' Tribute Show. His hometown is Edmonton, Alberta; but he has traveled all over North America performing his act. Robert was diagnosed with leukemia 3 times as a child and battled the disease until he was age 16. After having to fight through such a serious illness, he spent much of his life growing up in the Edmonton Stollery Children's Hospital. After his last battle with Leukemia, he moved out on his own at the age of 16 and fought through many issues such as; drugs and alcoholism, homelessness and depression. 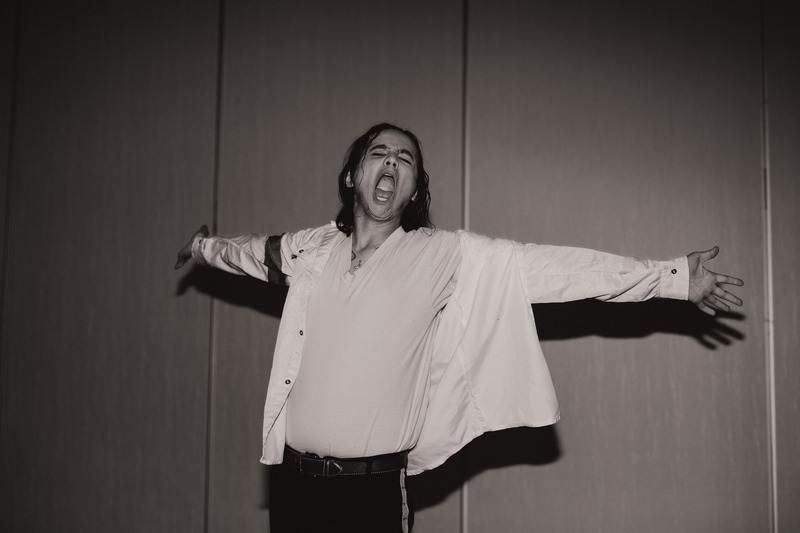 Searching for the meaning to his life and a more positive lifestyle, Robert started to perform as a Michael Jackson Impersonator. It was then he found a passion for the positive message of Michael Jackson's music, through MJ's music he found the confidence he needed to become a better person. Robert has now devoted himself to spreading the positive word of Michael's outlook on life with the power of dance and song. 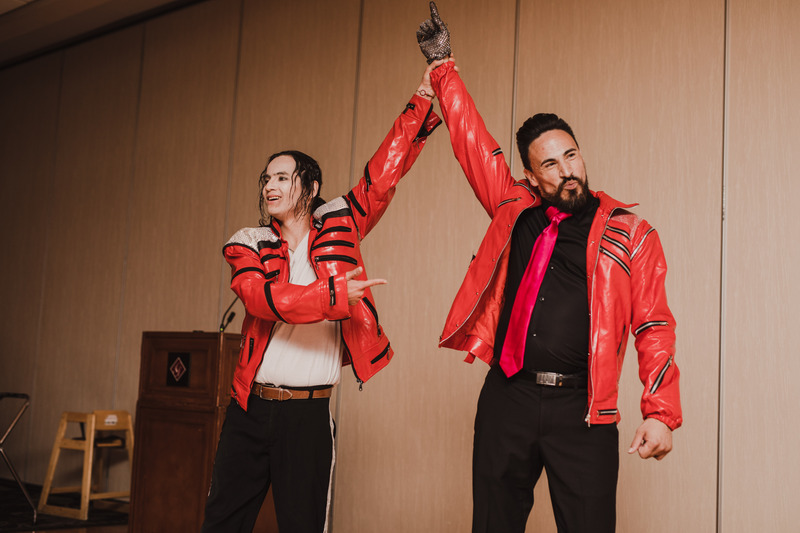 He hopes to empower and inspire MJ fans with his act that literally saved Roberts life. Robert truly captures the essence and persona that was the late great King Of Pop Michael Jackson in 'A Glorious King Of Pop Tribute' through his dancing,stage presence and passion he shows through his work in this show and will give you an experience that you will never forget! "Please note that I do not provide any equipment"